Take time out to pause, and give space and time to reflect – with others – on what is being asked of us in these extraordinary times. As of March 9th the retreat was fully booked. Join the waiting list. See other Deep Adaptation courses led by Prof. Bendell. You are warmly invited to join us for three days of dialogue and reflection with people who are working on this Deep Adaptation agenda, integrating questions of resilience, relinquishment, restoration and reconciliation into their lives and work. We will focus on nourishing the inner resilience for us all to help make this a kinder and more sacred unravelling of life-as-we-know-it. 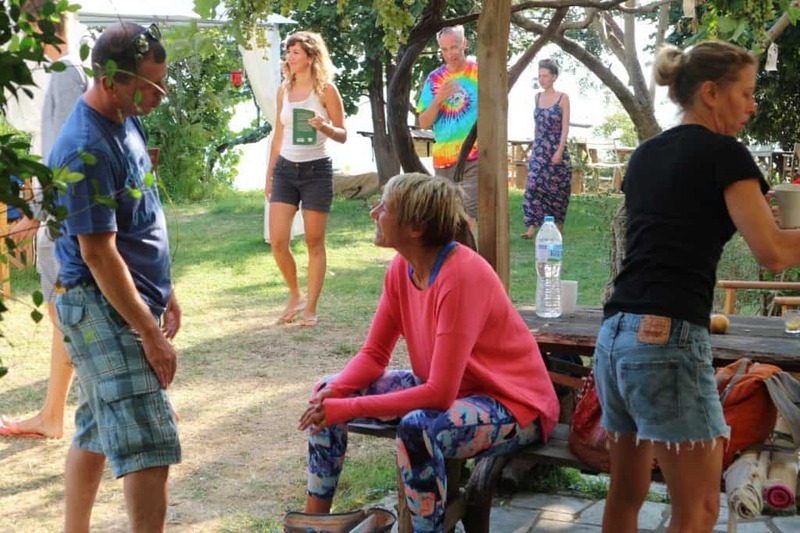 We will draw upon the experiences of participants, a range of experiential exercises as well as facilitated connection and exploration that welcomes emotional, spiritual and somatic ways of being and (un)learning, as well as the intellectual/cognitive. Our aspiration is that we will support peaceful empowered surrender to our predicament, where action can arise from an engaged love of humanity and nature, rather than problematic stories of worth and purpose. sense that some days spent in nature with people on a similar path could support your journey and healing. Within a safely held and gently facilitated space, we aim to explore the possibilities for meaning, purpose, acceptance and joy amidst the climate tragedy, whilst cultivating the practice of welcoming the whole range of human emotions, including those that are painful and often pushed away. The focus is on inner adaptation rather than policies for reducing the harm from societal collapse. The retreat is part of a wider movement on Deep Adaptation. Our hope is you leave better able to host future gatherings on this agenda, and feel more peaceful in your ability to be alongside and support others in their own journeys. he retreat will take place at the Haybergill Centre, a large eco-friendly, Scandinavian style venue in the beautiful Eden Valley in Cumbria, with breathtaking views all around and within touching distance of the Lake District, Teesdale and the Yorkshire Dales. The Centre connects easily to the A66 and there is quick, direct access to the A1 and M6 motorways. Glasgow, Edinburgh, Newcastle, Leeds, Sheffield, Manchester and Liverpool are all reached in 2 hours or less by road. Penrith train station is 20 minutes away in a taxi. Appleby train station is a few minutes drive away (with some coordination and a donation towards fuel costs, the centre can provide lifts from Appleby station). All meals will be vegetarian, and are freshly prepared using mainly local produce and where possible from their own polytunnel. The retreat begins at 10.30am on Tuesday 24th September, with a welcome to the centre, and an opening circle. The specific flow of our days together will be emergent, and will weave together facilitated experiential exercises, offerings from participants, and time for silent/quiet reflection. Each day will open and close with a circle sharing, a gently held space in which each of us is invited to share what is moving us, without judgment or analysis, and to witness each other as we are in-the-moment. The retreat will give space for creative expression, contemplative reflection (individual or with others), and experiential exploration of connection in the outdoors (please bring appropriate clothes and footwear). On the final day you will be asked to help Haybergill staff prepare for the arrival of the next group by stripping your bed. We will finish at around 11am, and have an early ‘brunch’ before departing at 12.30pm. Apply online. The cost of the retreat is £495, inclusive of accomodation and all meals. 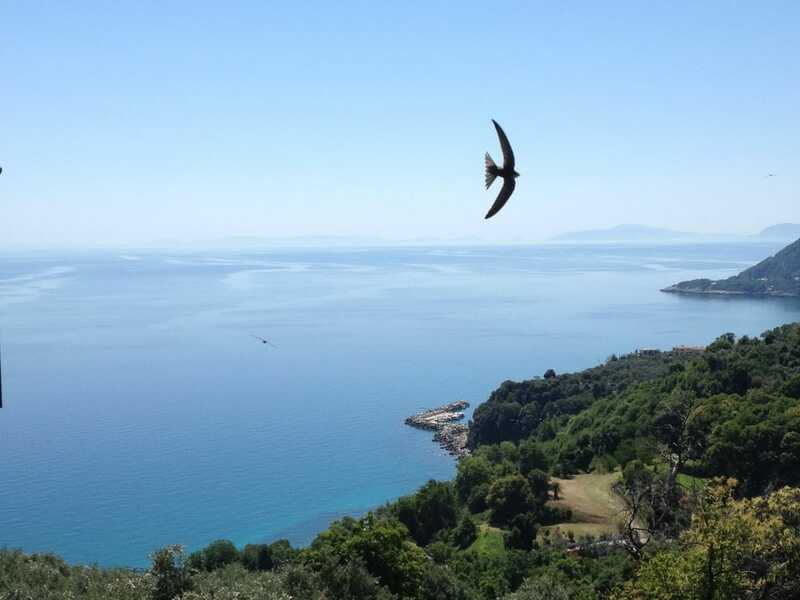 Spaces are limited to 18, and our retreat in Greece sold out 5 months ahead, so book early to secure your place. You will receive an email confirmation with instructions on how to pay the deposit (£250). If you need to cancel, you can do so up to eight weeks before the retreat begins (before 31st July), and your deposit will be refunded. If you cancel within those eight weeks, we will endeavour to fill your place, so that your deposit can be refunded, but if the place isn’t taken by someone else the deposit will be non-refundable. Apply here. The original Deep Adaptation paper has now been downloaded 110,000 times so to make it more accessible it is now available in as a podcast. In other news, Scientists Warning have created this rather shorter video emphasising the most poignant ideas in Deep Adaptation. If you are on Linkedin, you can join the Deep Adaptation group for news and solidarity on this subject. Don’t forget to share this post on your favourite social media! Right now, people are seeking to frame the future and the meaning of our activism on climate. So although I am still working things out for myself, perhaps unendingly, I want to share my current and provisional thoughts on the topic of hope and vision. In so doing, I will offer a new “R” to my framing of Deep Adaptation – reconciliation – and invite feedback on this and related ideas (in the comments below). You can hear me in conversation about these topics here.